Add the world’s longest tree top walk to your list of ‘must-do’ family travel experiences. Last year we showed you some amazing tree top walks to do in Australia, all located in rainforest or eucalyptus forest. 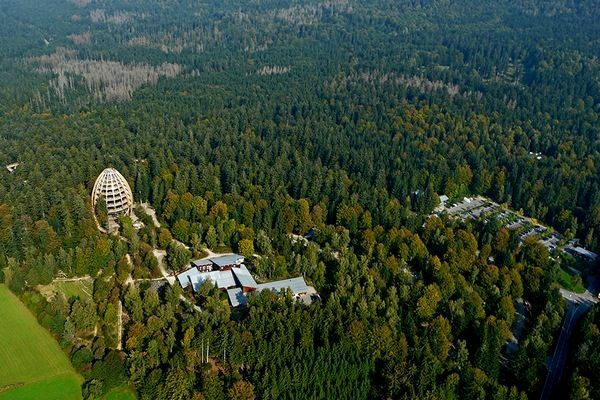 For a completely different tree top experience, pay a visit to Germany’s Bavarian Forest National Park, where the new Tree Top Walk soars forty-four metres above ground, around ancient fir trees. 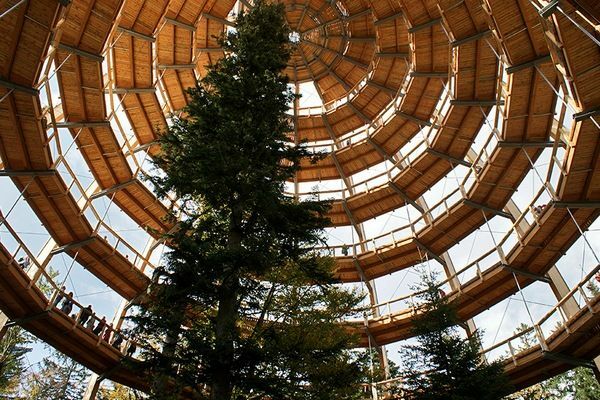 An impressive spiraling egg-shape, the Tree Top Walk allows visitors uninterrupted views across the Bavarian forest where the Lusen and Rachel mountains are within sight – and on a clear day it’s said that even the Alps are visible. 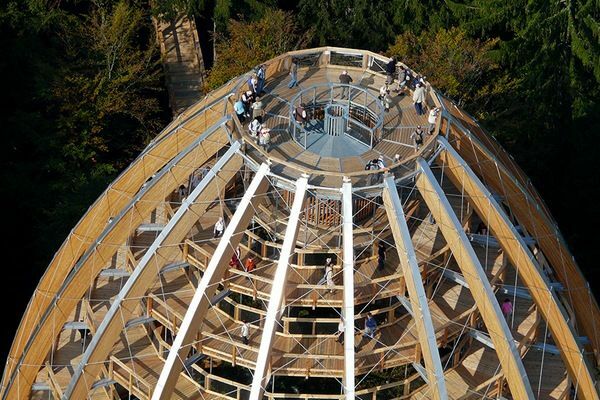 The Tree Top Walk includes one thousand three hundred metres of low-gradient walkways, all suitable for prams and wheelchairs. There’s also extensive interpretive information about the forest and the plants and animals that live there. For the more adventurous, there are a number of rope and wooden bridges to be tackled. The video below gives you a better sense of how extensive this unique tree top walk is. 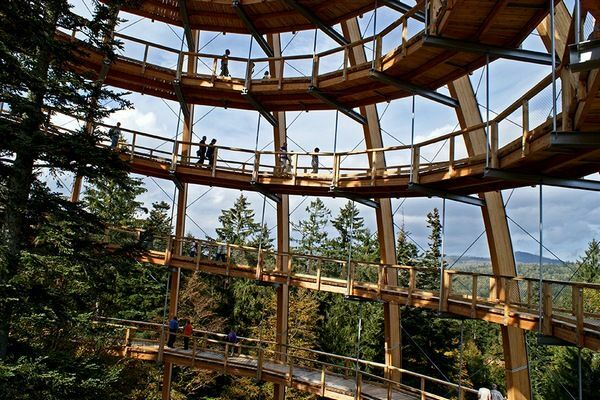 The Tree Top Walk is located near the city of Neuschönau. If you’re planning a trip to Germany, make all your travel arrangements online with Goldman Holidays.